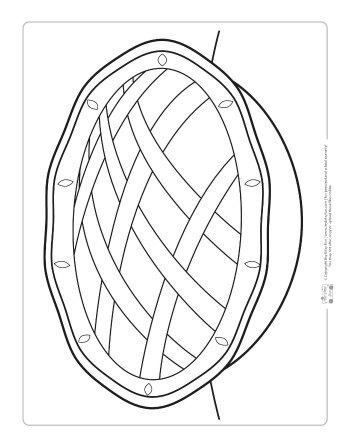 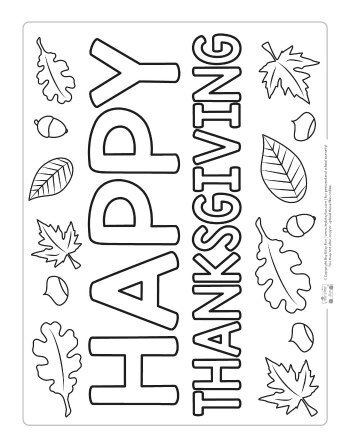 We have some new Thanksgiving coloring pages for kids for you. 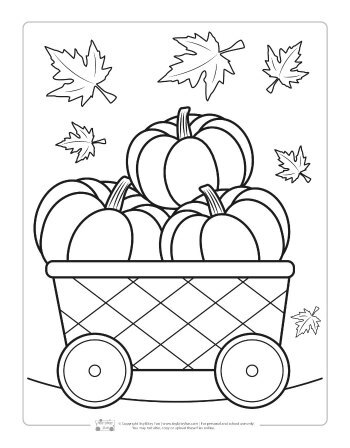 These printable coloring pages are filled with pumpkins, turkeys, and everything you need to get in the holiday spirit with your kiddos. 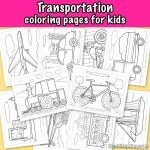 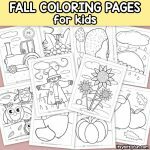 Whether you are a mom scrolling the internet for Thanksgiving coloring pages or you’re a teacher planning a lesson for the holiday, these coloring pages will certainly be what you are looking for. 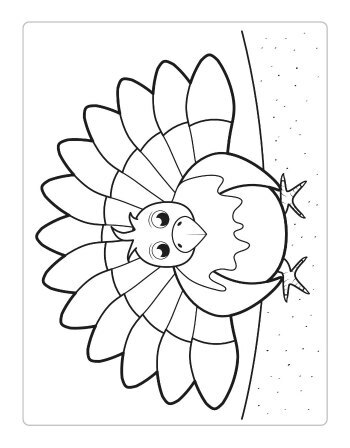 These Thanksgiving coloring pages for kids will give you the perfect opportunity to keep the little ones entertained and informed. 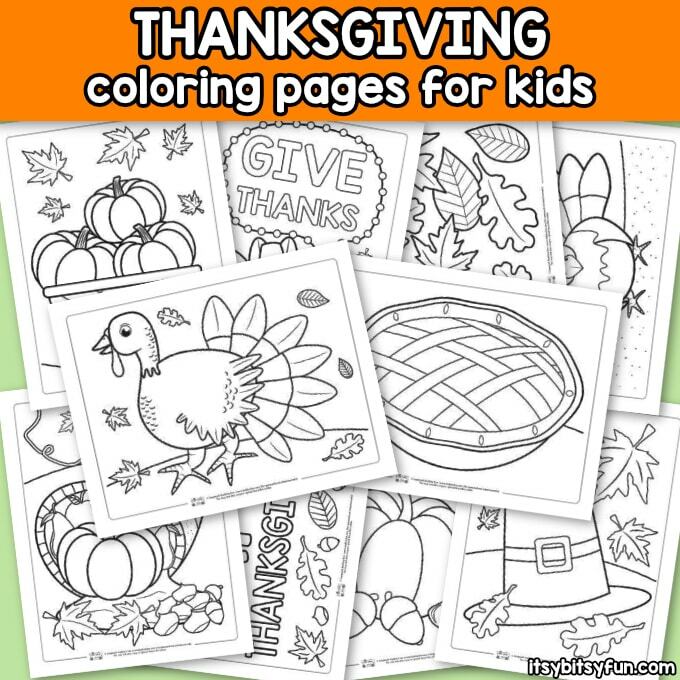 While they are choosing what crayon or marker to color the turkey with you can explain to them why Americans celebrate Thanksgiving. 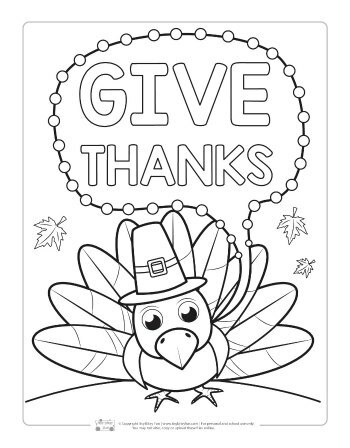 The “Give Thanks” sheet offered could be used to tell your kids to always be thankful and appreciate what they have. 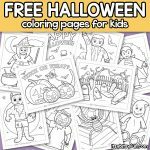 We are offering 10 free coloring pages for you. 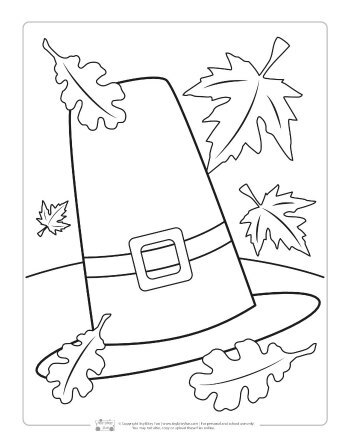 Three pumpkin pages, three turkey pages, a delicious pie, a pilgrim hat, two pages with words, and a sheet full of autumn leaves. 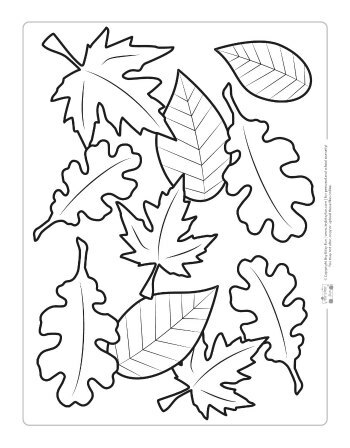 This activity is great for teachers and parents to use with elementary and preschool-aged children. 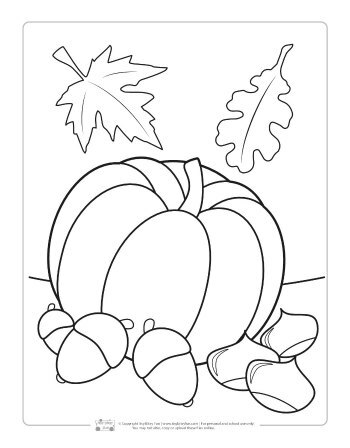 If you are a teacher, you could print extra copies so your students can take some pages to color at home. 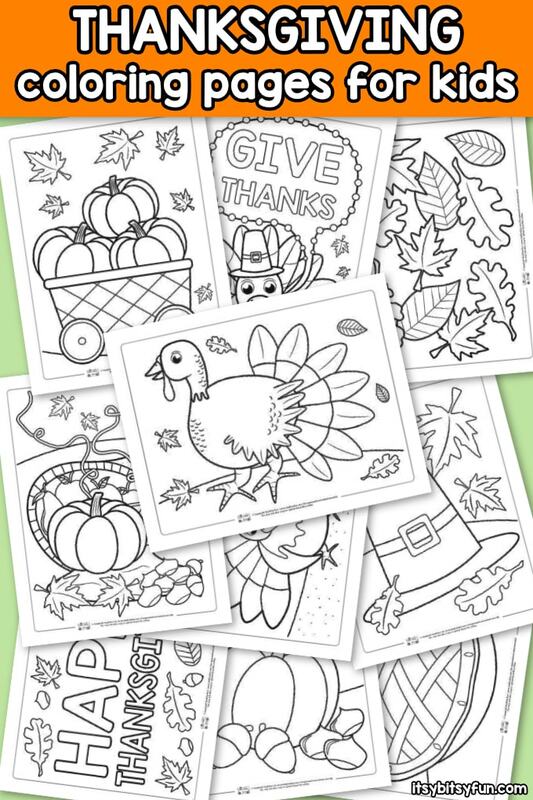 They can share with their parents what they learned about Thanksgiving and hang their finished art on the fridge. 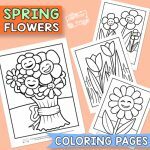 These coloring pages are also ideal for the mom who needs to keep her children busy while she prepares dinner. 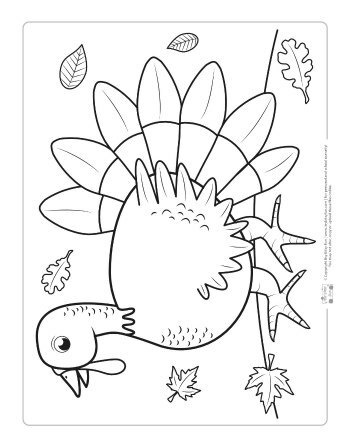 Get ready for the holiday season and treat your kids with these Thanksgiving coloring pages, an activity both of you will enjoy. 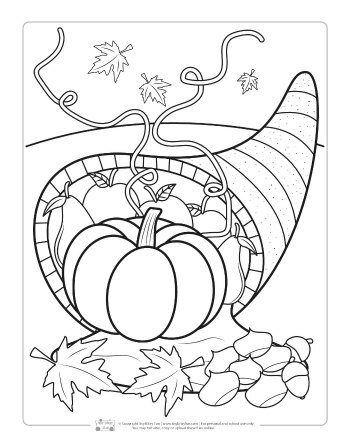 Get your Coloring Pages – Thanksgiving Day here.